According to James Connington at The Telegraph, the low interest rates we’ve been enjoying – following Brexit and the Bank of England cutting its central rate to 0.25pc last year – could be set to rise in the near future. However, for the time being, there are still deals with attractive rates available. In fact, only last month, Yorkshire Bank its lowest ever rate at 0.89pc (the catches including a high arrangement fee and a requirement of 65pc equity). Ten-year fixed deals are also being offered with very low rates, and the popularity of these is increasing in the context of current uncertainty regarding interest rates. 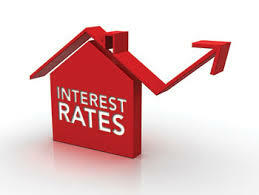 Recently, for instance, rising swap rates have increased the pressure on lenders to raise their mortgage rates. What is a ‘swap rate’, and how does it affect mortgage rates? While there are several factors that influence fixed mortgage rates, the primary one is how much cheap money is available for banks to loan out. This money usually comes either from savers or by borrowing from other banks on the financial markets at a ‘swap rate’ for a given period of time. Swap rates are influenced by inflation, global economic trends and political turbulence. The rates dropped after Brexit, but recovered towards the end of 2016. A rise in swap rate can lead to a rise in mortgage rates. However, it’s not a straightforward cause and effect relationship. For example, competition between lenders and stagnation in the market can delay the effect of swap rates on mortgage rates. The Bank of England may also act to restrain lending if house prices rise too quickly by increasing capital requirements on the banks. If the banks have to pay more, then this cost is likely be recouped from customers by increasing interest rates. 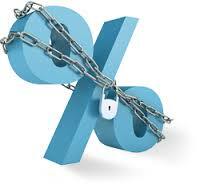 One way to avoid sudden changes in a mortgage rate is to choose a fixed rate rather than a variable rate mortgage. If you have a fixed-rate mortgage (usually for two, three, five or even ten years) the interest rate will be fixed for that period regardless of changes (either upwards or downwards) in the mortgage market. When the fixed period ends, the borrower switches to the lenders SVR, or standard variable rate, which can be higher. Moreover, the variable rate does what it says on the tin – varies – so borrowers will not know how much their repayments will be every month. When thinking about which mortgage product suits your circumstances, you have to consider not only the choice between fixed and variable rate, but also what other fees might be attached to the deal. For example, there may be arrangement fees (which can be substantial, particularly for low-rate deals), early repayment fees, valuation fees, missed payment and exit fees amongst others. These vary with the product offered so it’s crucial to check all the terms and conditions of the products you’re considering.